Here are some of the iOS apps available on the app store that I have been a lead developer on. ParkSnap is a solo iPhone app I developed from scratch. 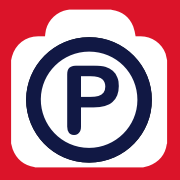 Never have to get a parking ticket with ParkSnap. Park, take a picture of your paid parking stub OR set a timer and you are done. The app will send you reminders before your parking expires and walking directions back to your car. Quicken 2014/2015 is the free mobile companion app to your Quicken 2014 or 2015 desktop software for Mac or Windows. The WeWork App lets members tap into the entire community of creators & entrepreneurs. Discuss ideas, find or list opportunities, book conference rooms and more. Stay connected and stay productive anytime, anywhere.